A pileated woodpecker looks for insects at the base of a tree at Merganser Lake in Danbury, Conn., April 2017. Here’s another photo of the pileated woodpecker I saw the other day. 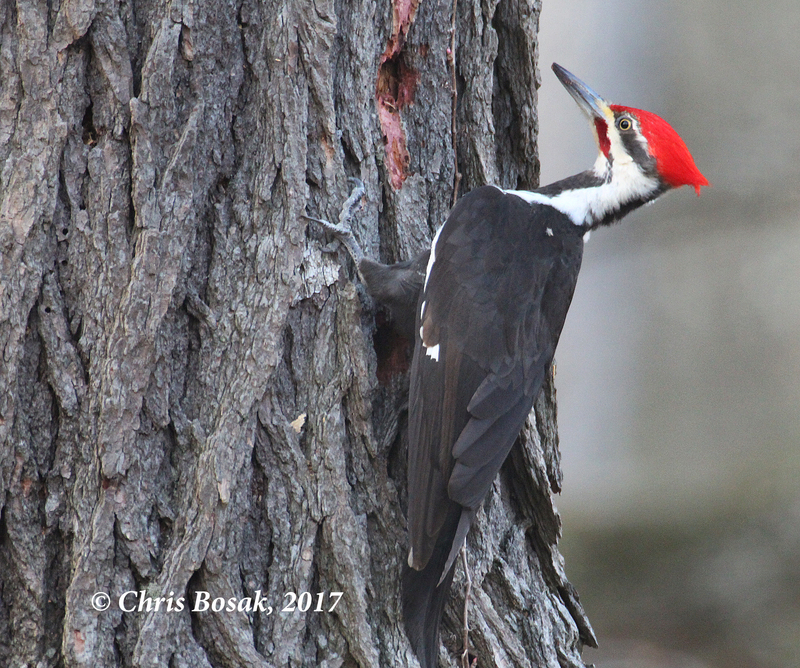 This entry was posted in backyard birding, Merganser Lake, Woodpeckers and tagged Chris Bosak bird photographer, Living on Merganser Lake, pileated woodpecker by Chris Bosak. Bookmark the permalink.